The DVD/Blu-Ray of Madonna’s Rebel Heart Tour will be released on her birthday, August 16, 2017. It was Madonna to.. The 5 most Madonna moments of her Rebel Heart Tour. Source: AXS.com Madonna has been one of the biggest stars on the planet for over 30 years now and in.. 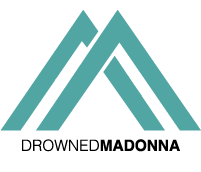 EXCLUSIVE – We at DrownedMadonna.com would like to share some more details on the Rebel Heart Tour special that will..
Watch the official trailer of Madonna’s Rebel Heart Tour. The 3 minute trailer has just been released. It includes clips..